You know what they say, better be safe than dorry. Even though this is most likely done on purpose, I find it just as strange that he’s looking for baby ducks. 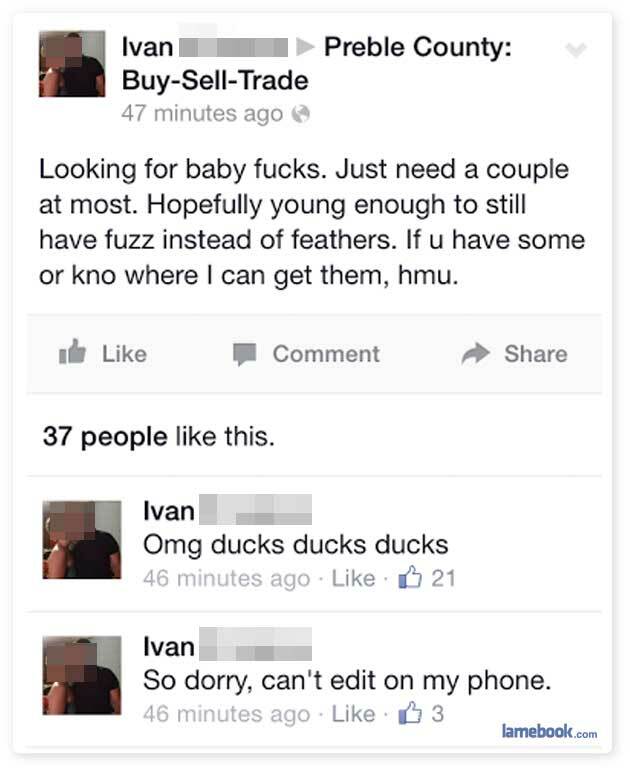 Any dude who is looking for ducks and ends request with HMU, is fucked in the head most likely. Maybe he has a mother-duck, who lost all her ducklings to the fox. Btw., what does the fox say? Perhaps the dude is trying to make a down pillow.